This week, three decent days of pain management is all I got. My average pain is around a six to seven. The last three days have been around a four or five. Mostly a four. Of course nothing ever goes completely right. I have had huge bouts of chronic fatigue but the pain has been manageable. I am frustrated. On the rare chance I get to a point where the pain is tolerable, I get greedy and I want several more days pain-free. I am also frustrated because when I am having one of those rare episodes of good pain management I get nervous for fear that the pain will blow up, out of no where and it makes me leery as to what I try to do. I’ll take the pain-free days even though they wont last and even though I don’t always takes advantage of a pain free day. 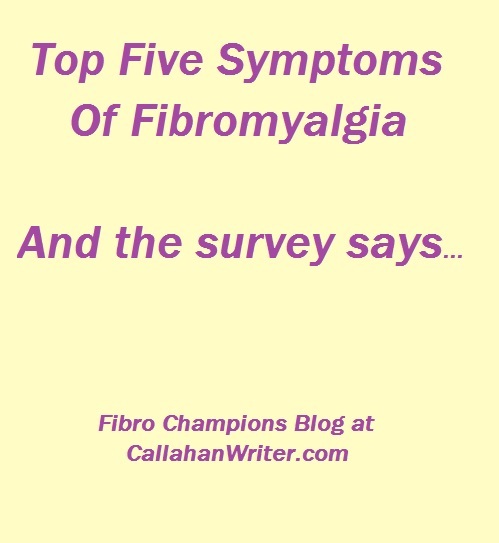 They never include frustration as a symptom of fibromyalgia. But the frustration is as real as the pain itself. Having said all that, I am grateful for three decently managed semi pain-0free days this past week. With a title like that, I hope you’ll keep reading. This is no joke, we can live life to its fullest even with fibromyalgia, chronic fatigue, chronic pain or any other life altering pain related disease. 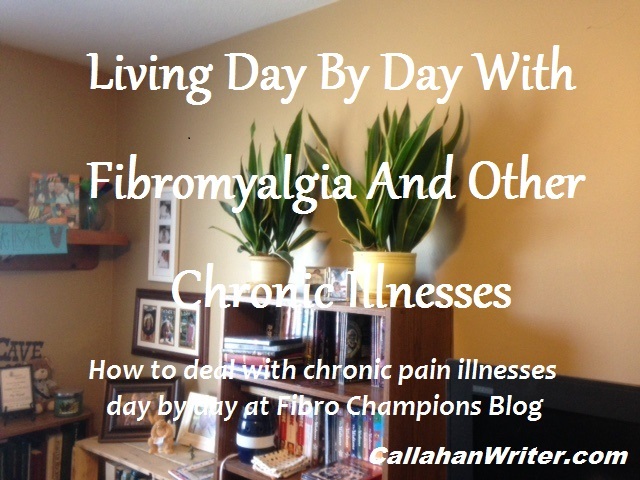 I have had fibro for thirty-two years and counting. I have just started to feel like I can live my life to its fullest potential. I still have bad days, bad weeks and bad months. I have pain every single day of my life. The pain vacillates, but it’s always there. The headaches, joint pain, muscle pain, flu like malaise, the works. I have a majority of the fibro symptoms listed in this article of fibromyalgia symptoms. but now that I’ve learned a few things, I can see a dim light at the end of the tunnel during flare ups and bad days or weeks or months. I know the flare ups will pass and leave me with traditional pain and anguish caused by fibromyalgia. Keep in mind, back when life was normal for you, you had bad days, you didn’t feel normal, sick days, days where you were in an inexplicable funk. That type of life is the same with fibro. Good days are typically painful to various degrees. Flare ups are the bad days or the funky days. I have fibromyalgia, I’m not some professional writing about this debilitating disease, I write from personal experience. I plan on writing about all three of this topic, hopefully in the next three days. Although it’s fibro permitting, so stay tuned for the next two articles. When you have a chronic pain illnesses like fibromyalgia, chronic fatigue, chronic pain, or any other illness that creates chronic pain, you know that there are limitations. You can no longer do what you used to do. You wear out far more easily than you used to. It hurts to do common things that you’ve regularly done in the past. It hurts to do anything, it hurts to do nothing. Even breathing can hurt sometimes. This is your new reality. You need to accept your new reality. That does not mean you give up and give into your illness. Accepting that fact that things are different than they used to be and always will be, doesn’t mean you’re giving in to the illness. If you accept the fact that life is what it currently is, it’s easier to move on with your new life and a way to live. I’ve heard people say “fibro doesn’t have me, I have it” or “fibromyalgia isn’t going to determine my life, or change my life.” That can be seen as a good fighters mantra but it’s not complete reality. 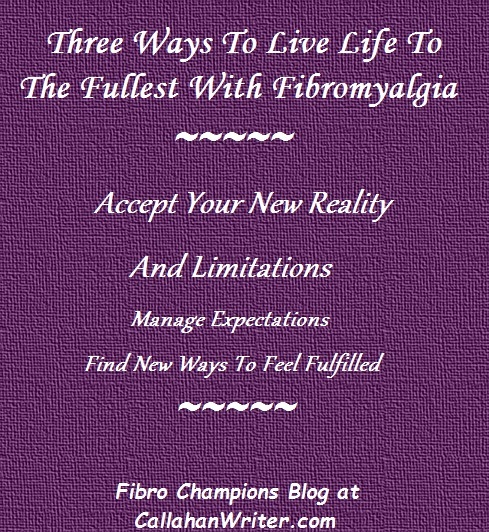 Fibro does change your life and it does determine some of what you can or cannot do. I’m not a professional health care provider or a psychiatrist. I’m a man who has had fibromyalgia for thirty-two year and counting. I speak from experience. If you accept your limitations then you can learn to work around them. If you don’t accept your limitations, then you’re going to work hard and hurt more and feel more anguish on top of the debilitating, bone crushing pain of a chronic pain illness. Accepting your new reality doesn’t mean you’re giving into it, it means you understand the need to work around it. We all hope and pray for a cure or a superior way to manage the symptoms of chronic pain. But until then, this is our life. Let’s get on with living it the best way possible. Here are some thoughts or ideas on how to accept your new reality. For some reason, a great many deal with an issue of guilt. They feel guilty being in pain all the time. They feel guilty because they can’t do what they used to do. There are many other reasons to feel guilty, but there are no good reasons to feel guilty. Let go of any guilt that you may feel. “Did you ask to have this illness?” No. “Had you deliberately done anything to cause this illness?” No. “Do you want this illness?” No. “Do you enjoy being in pain all the time?” No. Then don’t feel guilty. Let go of any guilt. If you accept the fact that you have fibromyalgia or any other chronic pain disease, then you can treat it the way you should. With respect. Respect the fact that you may need a nap or two or three during the day. Your body has a pain sickness and needs rest. You also aren’t going to get better any time soon so you need to accept the fact that you need to pace yourself. Living day by day with a chronic illness like chronic pain, chronic fatigue, fibromyalgia and many other chronic invisible illnesses require a different mindset or an adjusted mind set. Your day to day life is affected in every single aspect or nearly every single aspect. Gone are the days of waking up early after a good night’s rest, getting ready for work, spending eight or nine hours at work, coming home to spend time with the family, work in your garden or other hobbies. Gone are the days of waking up early and making breakfast for the family, cleaning the house, maybe go to work, making dinner for the family, spend time with the kids and hobbies. 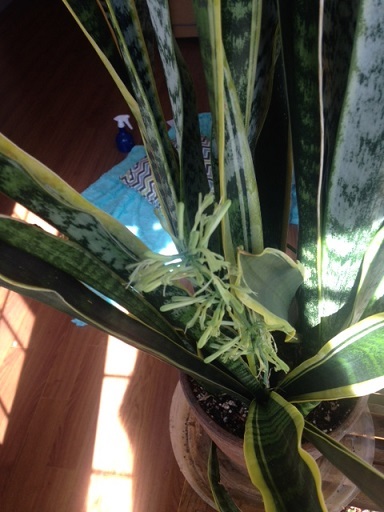 Snake Plant, also known as a “Mother in-Laws’ Tongue” plant is one of my favorite house plants. This one is mature enough to have seeds forming. Whatever your past life was before coming down with a chronic, invisible, pain filled disease, your life is different now. Are you disabled? Even if you’re not completely disabled your life is different. I have had fibromyalgia for thirty-one years. The last twelve or thirteen years have been disabled. After getting diagnosed and properly medicated, I have spent a great deal of time trying how to have a productive life in spite of my illness. I have struggled to reinvent myself in spite of pain around the clock. My wife has had colon cancer and about five years after that breast cancer, twice a cancer victim, twice a cancer survivor. I think it was when she was having chemo for breast cancer, we met this older lady during a chemo session. She was dressed up nicely, a great looking wig, makeup and a great attitude. She had been fighting cancer on and off for, I think, about ten years and was on a downward spiral when we met her. We talked about a lot of things, the only thing I remember about that conversation was that she was really sick and could do very little day by day due to her advanced cancer and chemo sickness. She loved to garden and didn’t want to give it up, but she just couldn’t work her garden any longer. She then realized she could replace that urge to garden with house plants. She could take care of several house plants. It fulfilled something that cancer tried to take from her. I grew up working in a large vegetable garden and an extra large flower garden. 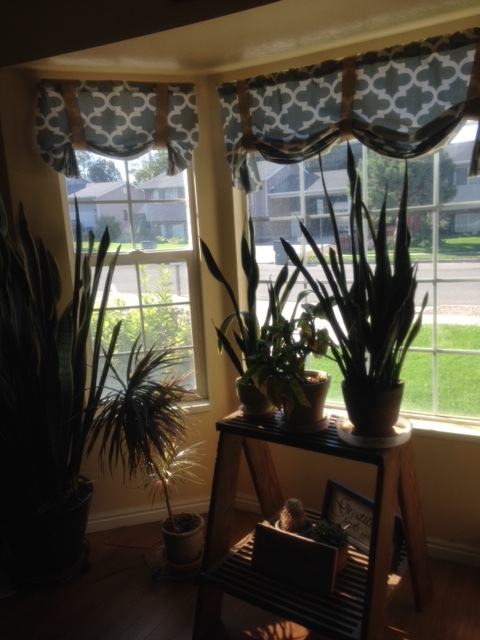 I also developed an interest in house plant when I was ten or eleven years old. I could buy a nice little house plant for .49 cents back then. Once we bought our first house I started my own vegetable and flower gardens. After two upgrade houses we built our own house and I landscaped the whole lot including planting grass, trees and perfectly designed gardens. I also had a few house plants around the house as my wife would allow. The plants and pots had to match her decorating scheme. After I heard the “gardening to the house plant’s story” with the brave cancer lady, I realized I could do the same. Since then my inside garden has grown substantially. It is not a daily activity but it’s fun to look at and It gives me an opportunity to water them, pick off the dead leaves, occasionally transplant a plant getting too big for a pot. It almost completely satisfies by gardening inclination. It gives me a doable activity a few times a week. House plants are not my new life, but it is a doable fun hobby. It satisfies a need I have. Another thing I have recently started doing about a year and a half ago was reading books. History books and novels. I’m not talking casual activities, but reading at the rate of one or two books a week. What do you do to fill the void in your life with chronic pain illnesses? I have recently written several articles on the downside of fibromyalgia. Makes sense right? Can any fun come from having a terrible, disabling illness like fibromyalgia? The answer is typically no, that is unless you make an attempt to have some fun within the disabling limitations of fibromyalgia, chronic pain or chronic fatigue. If you can some how manage add some fun to your life you will likely feel less depressed, maybe even feel a degree of happiness and a little contentment. It is easy to watch life pass you by as you lay in bed, the couch or your favorite recliner. Also if you try to have some fun within your limitations it can help keep your mind be active in a positive way, and hopefully pull some energy away from feeling sorry for yourself and use that energy in giving your life some meaning outside of the crippling pain and other symptoms of fibromyalgia. 1. Read – Watching videos or TV is a passive activity for your mind. Watching TV and Videos isn’t the worse thing you can do and it has its place in this list which we will touch on later. Reading books is an engaging activity for your mind and stimulates your mind while you’re having fun being caught up in an engaging story. Reading is also like exercising your brain but it is an enjoyable event. 2. Listening To Your Favorite Music – While this may seem like a passive way to use your mind, music is different in that it stimulates memories and emotions. I can listen to certain songs that immediately bring up memories that are both good and bad. Don’t listen to the songs with bad memories attached. 3. Sing along With Your Favorite Music – As you are listening to your favorite music sing along to it. It doesn’t matter if you are bedfast or not, you can sing to your favorite music. Watch out though, in the middle of one of your favorite songs you might hear your self really getting caught up in the music and belting out the words like a rock star. That’s even better. If you need to, lock the door and let it roar. 4. Watch TV and Movies – Besides trying to learn ways to have fun within the constraints of your chronic illness, part of the point of this list is to get your mind off of your illness, even if it is only for ten or twenty minutes. Watch exciting TV or videos that catch your attention and get you hooked. This can give you motivation each day to watch the next part in a series of movies or a TV series. I know I said that TV and movie watching is a passive brain activity, but it can also be fun. But don’t just flip the TV on for background noise. Watch comedy’s that make you laugh out loud. Watch documentaries on your favorite subjects, watch the TV with a purpose. 5. Find A Doable Hobby – This idea can be a little more difficult because of the limitations that fibromyalgia, chronic pain and chronic fatigue place on your body. But it’s not impossible. Maybe bird watching might be fun. Rather than hiking in the woods to look for bird you take a passive approach and find a comfortable folding chair and site in your back yard or in a park and watch for bird. The first hobby I picked up was to study World War II. I’ve always been a history buff so I picked up a book that had a general overview of the war, read it, and was hooked on wanting to learn more and more. I would often take a history book with me to read in doctors offices. It was interesting and helped pass the time of day. What things have you come up with that help occupy your time in a meaningful way? What hobbies can you participate in? Let us know in the comments below. 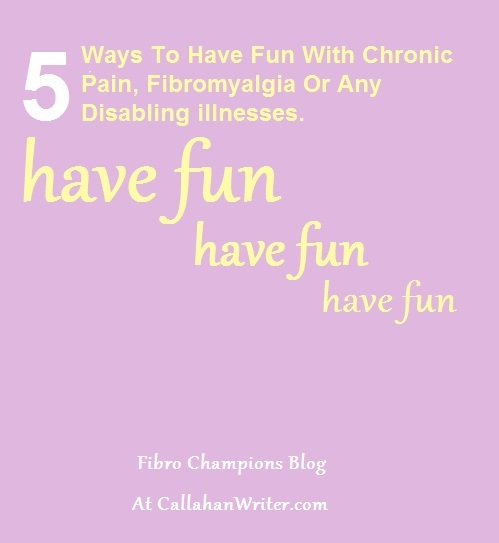 “I’ve got a large list of other things that you can do to have fun while suffering from fibromyalgia or chronic pain I’ll post later on. Make sure you are a follower so you won’t miss the next several installments.